Starring: Leonardo DiCaprio, Robert DeNiro, Ellen Barkin, Jonah Blechman, Eliza Dushku, Chris Cooper, Carla Gugino, Zack Ansley, Tracey Ellis, Kathy Kinney, Gerit Graham, Tobey Maguire. 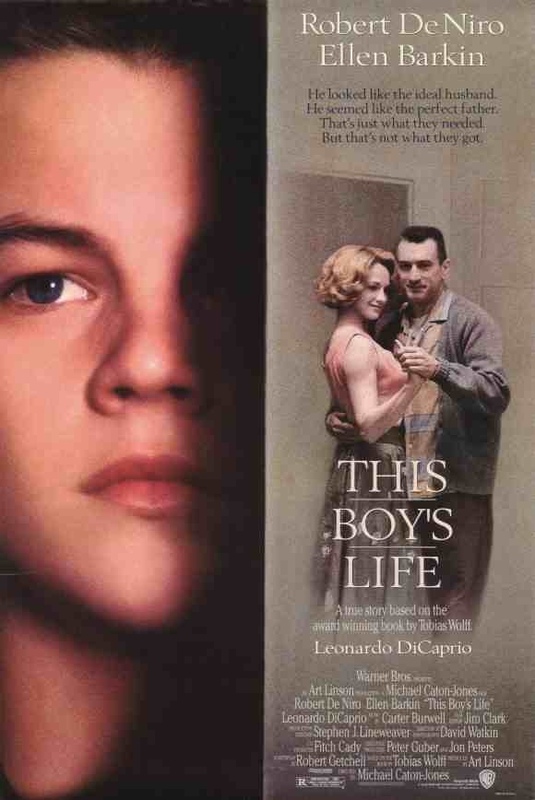 Before the heights of stardom, a young Leonardo DiCaprio built his name with this coming-of-age tale based on the real life memoirs of writer Tobias Wolff. On this evidence it’s easy to see why his talents couldn’t be ignored. Caroline (Ellen Barkin) drifts from State to State and boyfriend to boyfriend, dragging her now teenage son Toby (Leonardo DiCaprio) along with her. Finally it seems she may have met the man of her dreams, in the shape of Dwight (Robert DeNiro). After excitedly making plans to stay this time and begin a new life, it becomes apparent they were a little swift to judge as Dwight’s gentlemanly facade begins to slide, revealing his true nature. With two indefatigable and energetic lead performances it’s easy to see why Robert DeNiro is regarded as the greatest screen actor of his time and why DiCaprio became a star and may yet follow in the legend’s footsteps. This entry was posted on February 1, 2012 at 12:13 pm and is filed under Drama with tags 1993. You can follow any responses to this entry through the RSS 2.0 feed. You can leave a response, or trackback from your own site. Excellent review. Your words flow so smoothly. I’m extremely excited to see this now – thanks for the recommendation. Thanks very much. I’m glad my words seem to flow smoothly as I’m always conscious of my reviews being a bit choppy. I try to keep them concise but at the same time give enough info on a film. Somehow I’ve never seen this movie but your wonderfully written review has me wanting to view it as soon as I can. It’s well worth checking out, mate. DeNiro and DiCaprio are fantastic together. Two very strong performances. I loved this one.